When I saw Made for Mermaids and Patterns for Pirates were doing a Valentine's blog tour I signed right up - I loved the idea of sewing up something fun and flirty, great for Valentine's day and date nights in general! Plus, they both make really lovely patterns!! 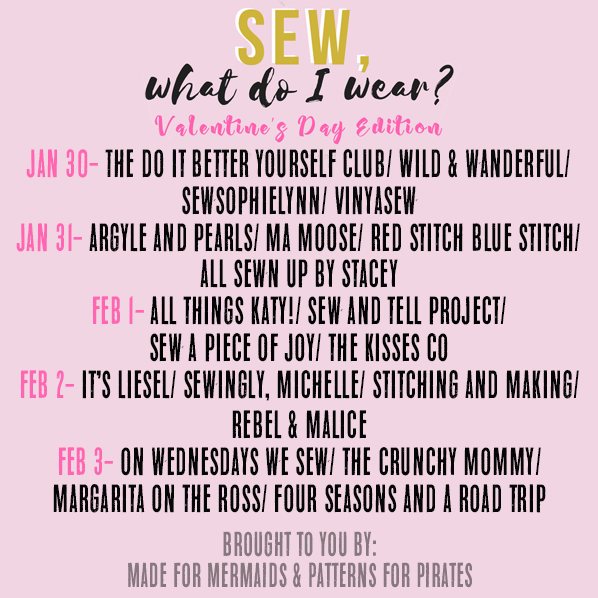 So, here is what I sewed up for my Valentine's day outfit - I made the M4M Mama Lauren from some soft drapey chiffon and a pair of P4P Peg Legs from some funky printed spandex. I have sewn a whole bunch of Pegs in various fabrics, so I whipped these up pretty quickly! This is my first Mama Lauren, and I chose a challenging fabric - so this was a little more time consuming! But still, well worth the effort - I love a floaty top, and you won't get a lot floatier than chiffon! Because I wanted the inside to be nice and neat I used French seams - the pattern has 1/2" seam allowances, so I didn't need to make any adjustments - I just sewed wrong sides together with an 1/8" seam allowance, then right sides together with a 3/8" seam allowance. The Mama Lauren has tonnes of options - different sleeve lengths with elastic or button tab, neckline options, top/tunic/dress, ties or not, and it is so my sort of style! 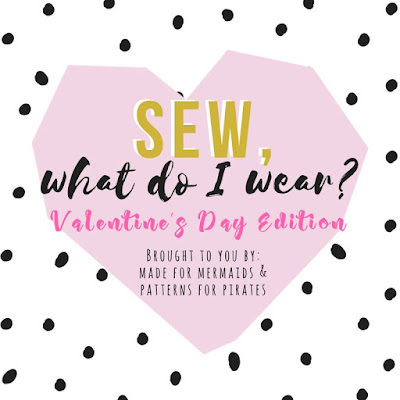 I was very tempted to sew the keyhole cutout neckline (you know - for a bit of extra flirtiness! ), but then I remembered I was sewing with chiffon, and thought better of it!! I'll definitely be recreating this outfit in different fabrics, it'll be great for lots of occasions. And next time I'll use a more stable fabric so I can try out the keyhole version! Got to apply some lippy for Valentine's day, right?! Check out the rest of the fabulous outfits coming up on the tour! I love Lauren, too, and I have done chiffon crying to be made into one! You look lovely, beautifully done. I impulsively buy woven fabrics when I come across them and always intend on making Laurens but totally forget to once the fabrics hit my stash pile. This makes me want to bust one of them out and make it happen. This is so pretty! I love the chiffon Lauren. Yes!!! I love it in chiffon and you have reminded me that I really need to make the Lauren. 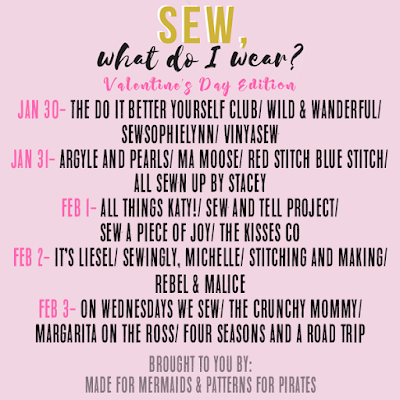 waooo nice post about "Sew What Do I Wear? Valentine's Edition - featuring M4M and P4P"